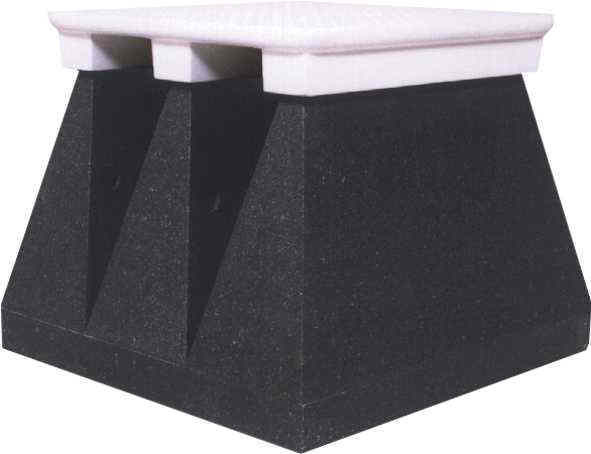 TDK is the only company that manufactures both the ferrite tile and the complementary foam absorber. This is both advantageous and critical for both low and high frequency performance, high power dissipation, and broadband behavior. 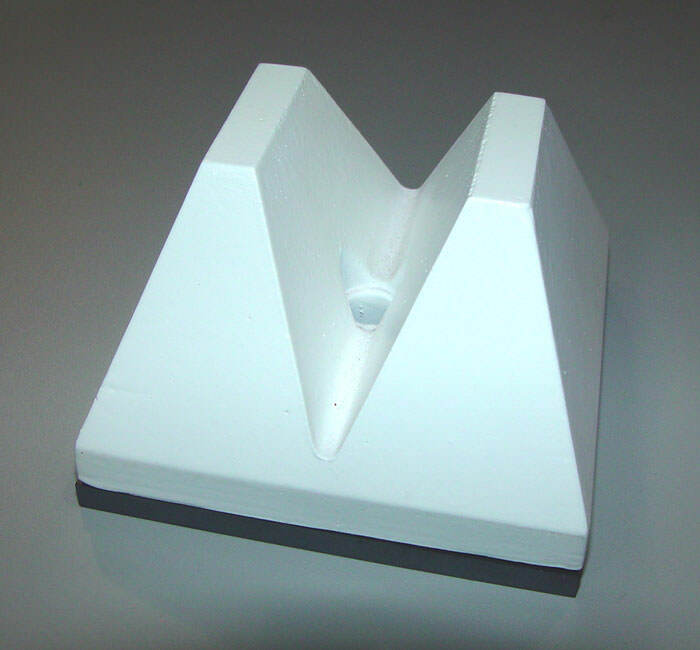 TDK uses very sophisticated manufacturing techniques to create both our ferrite and our foam absorber materials. These techniques allow us to control every parameter of the materials which impact performance and safety. By adhering to strict quality production checks throughout the creation process, we can bypass many time consuming and unnecessary steps (e.g. having to measure each piece of absorber product for size tolerance and RF parametric compliance). 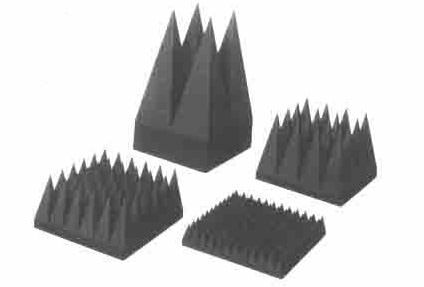 The result is a much more efficient production process with a higher yield rate for absorber products. 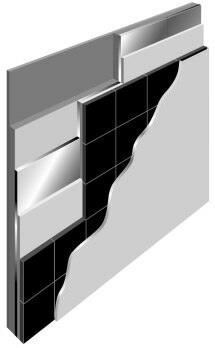 In addition, the facilities in which these products are manufactured are completely managed under an ISO 9001 quality system and an ISO 14001 environmental management system. With over 300,000 m2 of production capability, TDK manages the largest such facilities worldwide. Main hazards: No explosion, flammability, reactivity or health hazard. 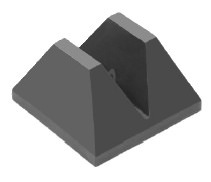 TDK, the world's largest supplier of ferrite material, ferrite products and EMC components, is the undisputed leader in ferrite tile and cascade radio wave absorber technology. 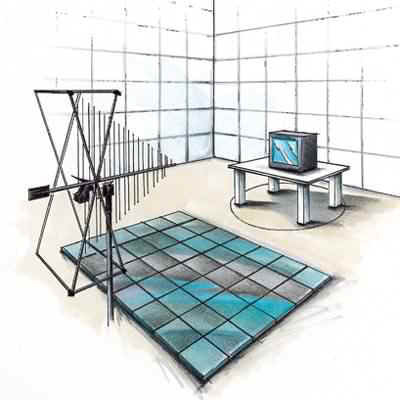 TDK developed the concept of ferrite tile as EMC radio wave absorbers, and has over 20 years experience in constructing anechoic chambers with ferrite tiles. 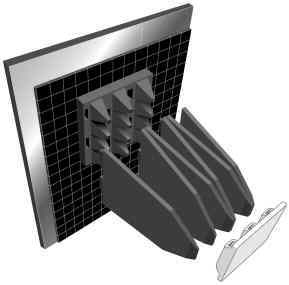 This electromagnetic absorber utilizes the magnetic resonance loss characteristic of ferrite. 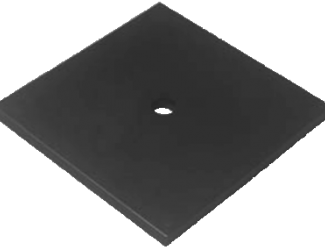 This sintered ferrite has been baked at a temperature of over 1000°C and possesses physical properties equivalent to those of external porcelain titles. 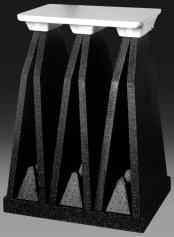 This is a sintered ferrite and delivers excellent electromagnetic absorption performance particularly in the VHF band. 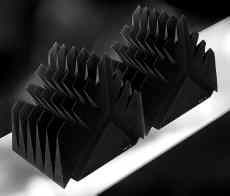 This extremely thin electromagnetic absorber is 5.2mm thick. 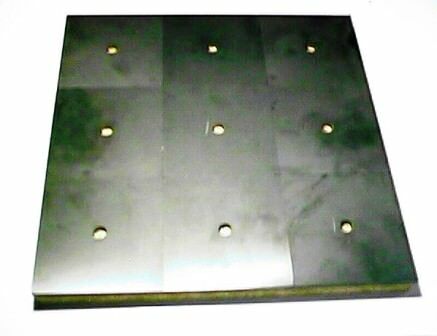 This is a thin-type wide-band electromagnetic absorber. This is highly weather resistant. Can be used as building material. 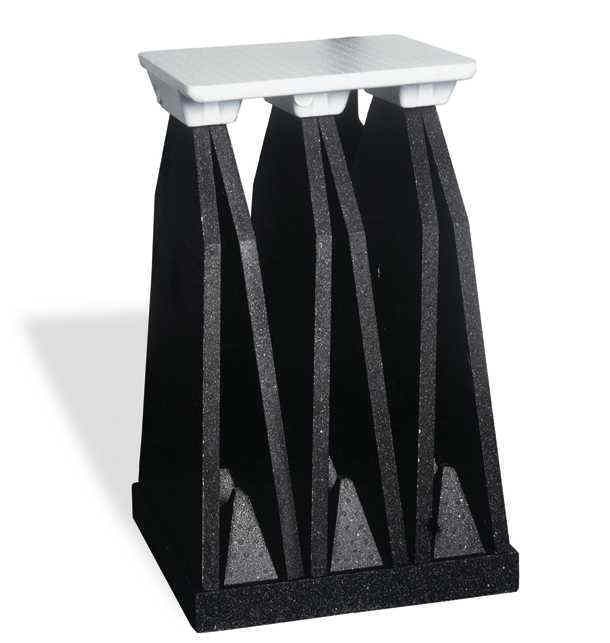 The closed cell structure of the polystyrene produces an even and consistent carbon density throughout the absorber and enhances absorption performance. 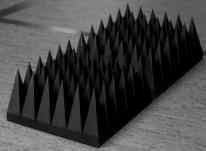 Basic Composition: Closed Cell Styrofoam/ferrite tiles. Does not soil hands on contact. Mechanical Strength: 4 kg/cm2 tensile strength. No damage to tips or tapers. Humidity Resistance: No deterioration with water. No hydrolysis effect. Chemical Stability: Not readily attacked by acids, alkalines and petroleum-based liquids. Reflection attenuation of greater than 25dB at the frequency range from 30 MHz to 2,000 MHz and 30dB from 20 GHz to 40 GHzIP-090BL can achieve a deviation between theoretical NSA and measured NSA within ±3.5dB (ANSI C63.4 1992 & EN 50147-2). Mechanical Strength: 4 kg/cm2 tensile strength. Lightweight 5.5 kg. No damage to tips or tapers. Reflection attenuation of greater than 30dB at the frequency range from 30 MHz to 2,000 MHz and 35dB from 20 GHz to 40 GHzIP-130BL can achieve a deviation between theoretical NSA and measured NSA within < ±3.5dB (ANSI C63.4 1992 & EN 50147-2). 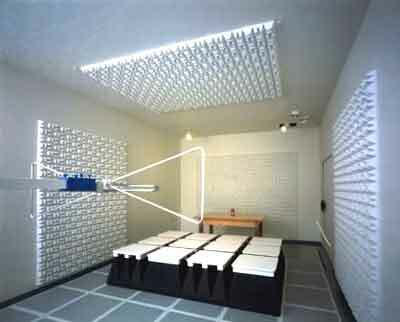 When a full set of 15 pieces is placed on a reflective ground plane between the transmit antenna and the EUT (equipment under test), the IS-080S absorber converts a 3 meter test range semi-anechoic chamber into a facility capable of performing all susceptibility and radiated immunity measurements, in full compliance with IEC 1000-4-3 in the frequency range from 80 MHz to 18 GHz. Basic Composition: Closed cell polyethylene. Does not soil hands on contact. 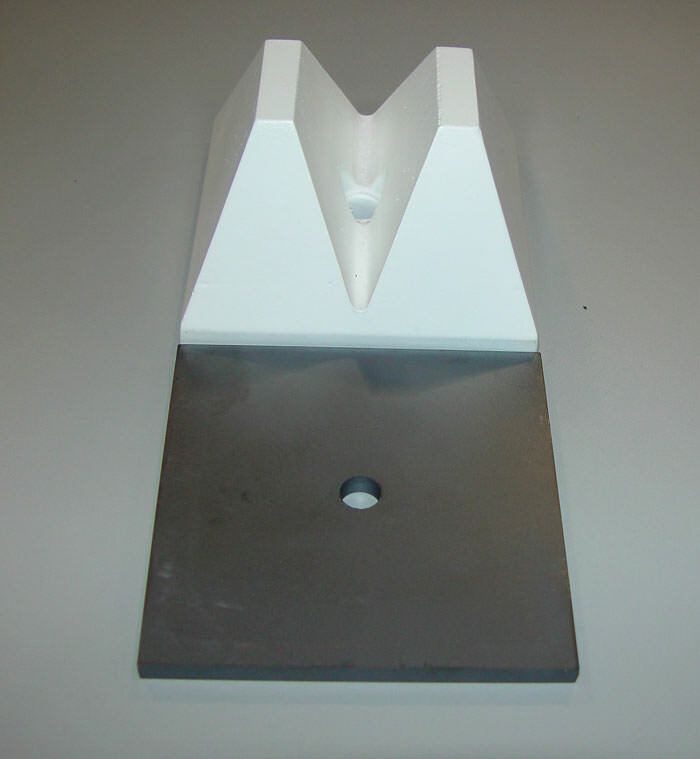 Tensile Strength: 4 kg/cm2. Good mechanical strength. No tips breaking. 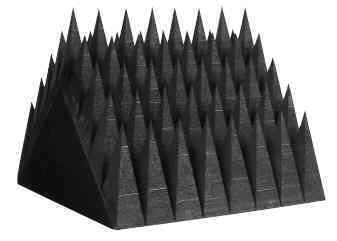 Ultra-wideband electromagnetic absorberExcellent electromagnetic absorption performance for oblique incidences.